A lot of people have a side hustle these days. 28% of millennials work some kind of side job, whether for themselves or someone else. Extra income is the main motivation for working a side job. 65.9% of people working a side job report extra money as their main motivation. It’s not the only one, however. Almost 15% of Americans working a side hustle report opening their own business as a reason to get into a secondary line of work. If you’re looking for a reliable side gig that lets you be your own boss, cell tower lease agreements could be a source of extra income with little additional work. Let’s learn about cell tower lease agreements. Cell tower lease agreements are like regular leases. There are a few things unique to leasing a cell tower, however, due to their specific usage. Here are a few things to consider if you’re thinking about a cell tower lease as a potential investment. If you don’t already have a cell tower on your property, someone may approach you about putting one there. This can be a blessing, as you won’t have to go looking for someone to lease your cell tower. You need to be able to spot a bad deal, though. Generally speaking, a cell tower only takes up roughly a few hundred square feet. Some cell tower lease tenants will request up to 10,000 square feet, which is a major cause for alarm. Signing over the rights to 10,000 square feet of your property signs away your rights for up to 25 years. Keep that in mind. Companies looking to lease a cell tower will undoubtedly have done their research. They more than likely have a team of experts working for them, as well. Don’t go into that negotiation unprepared and uninformed. Consult with a rental expert before deciding on terms for your cell tower rental lease. This could be a realtor or a commercial real estate professional. They’ll have a good idea of what the going rental rates are in your area. It’s a good idea to know what the going cell tower lease rates are, as well. 25 years is the standard length of a cell tower lease. Watch out for people who ask for longer leases than that. 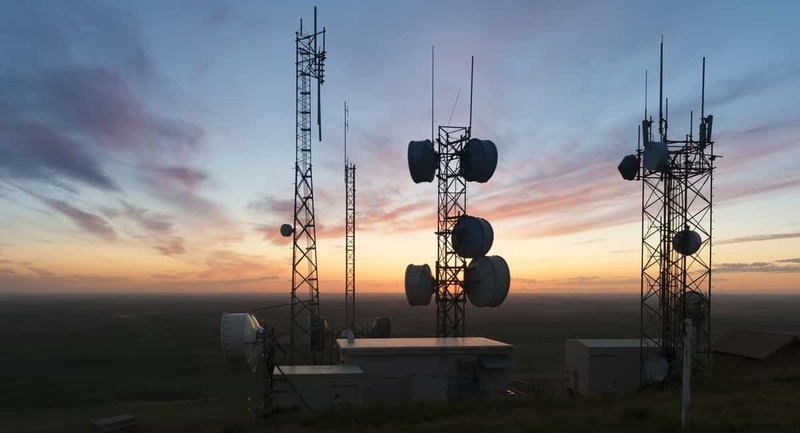 Most cell tower lease agreements feature an early termination clause for wireless providers. That means the cell companies can terminate a lease at any time. The same is not true for the tower owner. You’ll be in a lease for up to 25 years while the mobile provider can terminate at any moment. That puts you at a real disadvantage. Cell phone companies have been negotiating cell tower leases for decades at this point. They’ve developed some particularly sneaky language that you have to be fluent in legalese to decipher. The Right of First Refusal clause is particularly complicated. “What is the right of first refusal clause?” you might be wondering. It’s particularly esoteric as its effects are not immediately obvious. The Right of First Refusal doesn’t come up until you try and sell your property. When you get an offer on your property, the Right of First Refusal means the cell tower lease tenant gets a chance to match the offer. If they do, you have to sell to the leaseholder. When you get an offer on your property, the leaseholder has 20 to 60 days to match the offer. This slows the selling process and limits your options if you’re trying to sell your property. The Right of First Refusal clause means your property isn’t full yours. It’s best to avoid it if possible. You also need to be on the lookout for language that gives the lease tenant the right to install or modify equipment however they see fit. This means they can install the equipment they want without checking with the property owner, no matter how it impacts the property. These modifications can have a negative impact on your property value, lease, and rights. It can also reduce your enjoyment of your property. Do you live in a naturally beautiful area? A giant antenna might destroy the peaceful tranquility of the trees and wide open sky. Being wary about equipment usage rights will help you avoid this. You want to make your cell tower lease agreement mutually beneficial and satisfactory. Keep in mind, it’s the mobile provider’s responsibility to make sure that all equipment is up to code and meets the local guidelines and regulations. If you have a rooftop antenna, for instance, there could be a limit on how tall you’re able to build. If the cell company wants to install or change any equipment, make sure they conduct all the necessary inspections themselves. Cell tower lease tenants will often try and get as much land as possible from their landlord. Once you sign the lease, they may try to install additional antennae or load up as many dishes as possible. They often do so without alerting the landlord. Why is that? Because they don’t have to. It’s not necessarily guaranteed that a landlord gets to know what the tenant is doing with their property. If you’re not careful, this can also lead to ongoing equipment installation, renovation, and non-stop disruption of your property. These are only a few things that you want to look out for when negotiating a cell tower lease agreement. Like any kind of real estate transaction, it’s always a good idea to be as prepared as possible going into negotiations. Want To Know More About Florida Business? At Florida Independent, we strive to bring you quality coverage about life in The Sunshine State. Whether you’re investigating cell tower lease agreements as a side investment or which business duties you should outsource, we bring you everything you need to master your money! Browse the rest of our business articles today and take control of your finances.